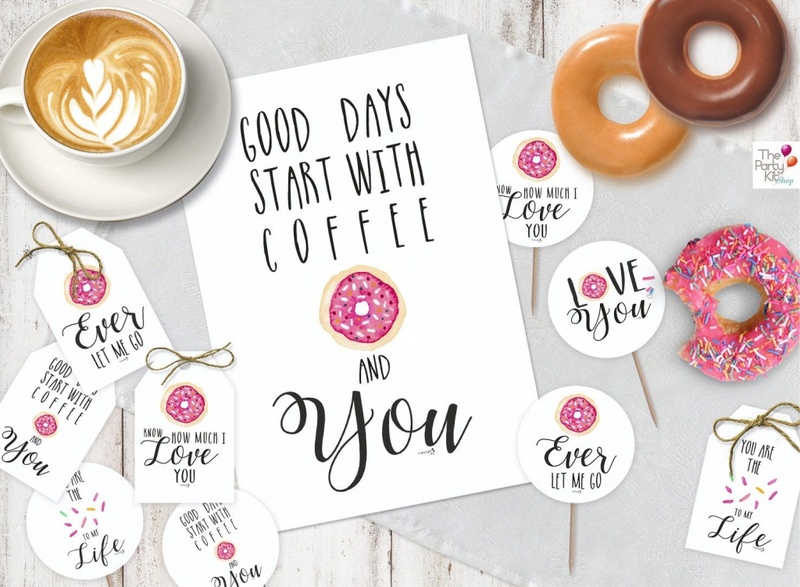 What about spoiling your loved one and yourself with a delicious Donut’s & Coffee Breakfast on Valentine’s Day? I’m so doing this! 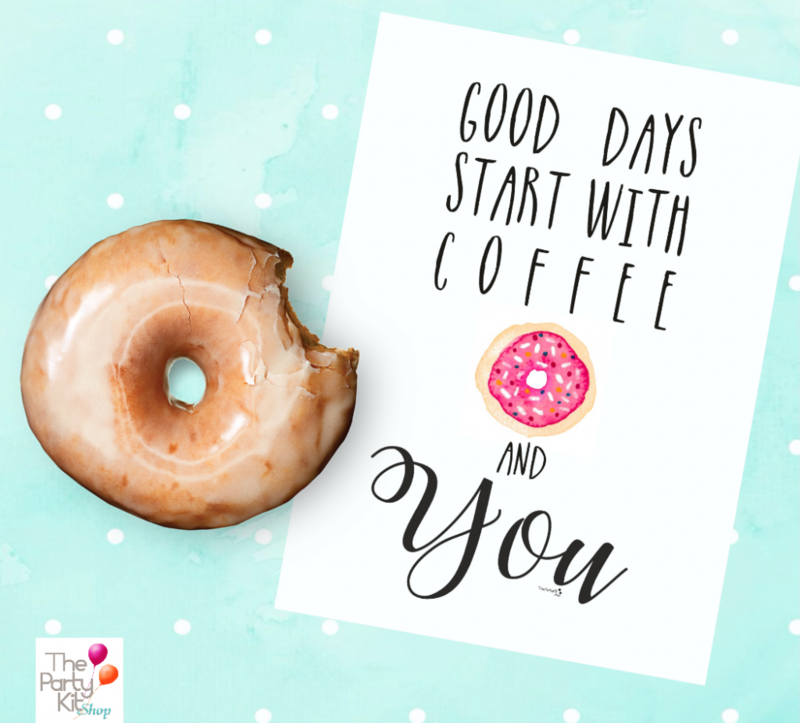 if you love donuts and coffee there might not be a better way to start the day! 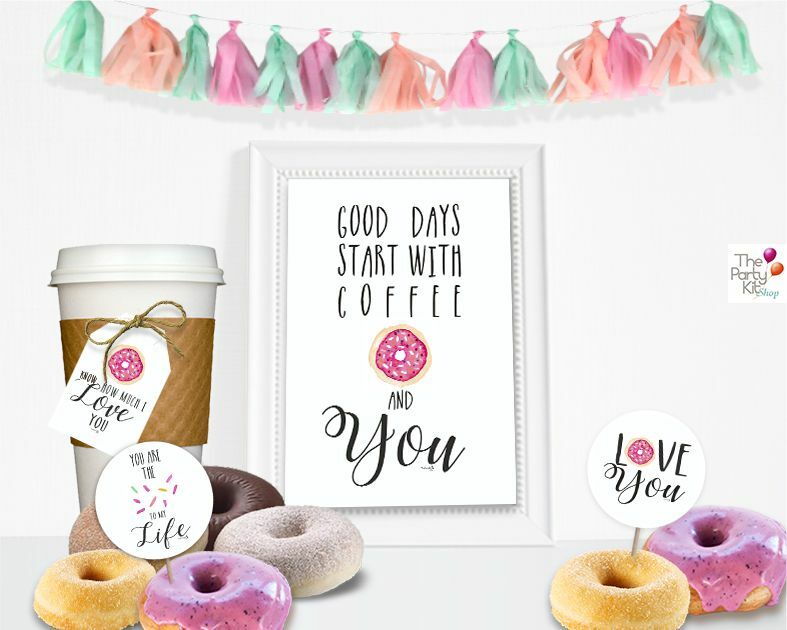 Since Valentine’s Day this year is on a tuesday you might as well use it to make a very Sweet celebration in the afternoon with the family. 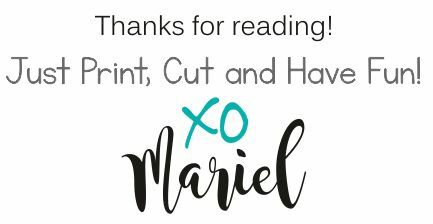 Either way you can use this super cute and fun Printable Set I designed of a table sign and 5 round toppers and 4 Tags with different designs.